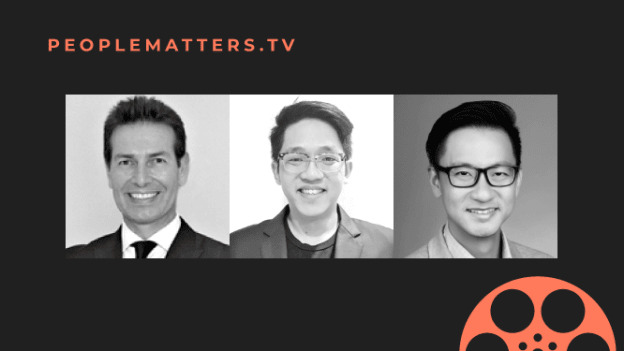 Experts on PeopleMatters TV tackle the challenges that startups face when they start seeking out scalable business models. Starting a new company brings with it some challenges as well as rewards. What happens though when a business reaches a certain level of stability? The key is to crack the code of designing scalable solutions and scaling up the whole organization thus breaking the mould of being a startup. Simon Childs, Managing Director, RGF and Ting Yan Leck, Partner, TRIVE, along with guest moderator Adrian Tan, Co-Founder and HR Tech Analyst, The Resource Group discussed factors that startup founders can take into account while strategizing their scale-up strategy. Knowing whether it is the right time to begin scaling up a business is probably the most important step that startup founders can take. The early years of several startups are spent experimenting and innovating new business processes. “If you are spending too much time in the business putting out fires and you are not spending enough time on the business growing and developing it, then you are not ready to scale up yet,” said Childs. Childs advises startup founders to first introspect and understand whether the existing team has the potential, the skills and the right attitude to enable the company to scale. Another aspect is realistically estimating the cash flow or external funding that would provide the necessary resources that go a long way in setting up the company for success. Prior to entering the market, there is a period of product testing that startups conduct so that they can create a product that will be easily and widely consumed in the market. “Once you find the right customer solution, know that the market fit is right and have the right people in place--you are ready to start scaling up,” said Childs. People who work best during the initial stages of a startup might not have the required skillset to help the company sail through the scaling up phase and vice versa. Startup leaders usually tend to be visionaries who are goal-driven and get things done. For Leck, hiring the right people has become one of the biggest challenges that startups face when trying to scale up the right way. Many a times founders have to make a relatively tough decision of making room in the budget for a new team. It could translate into restructuring the existing team and putting in different parameters of performance management. “Getting the right people with the right mindset to experiment and to refine the people processes is one of the biggest challenges that I have seen,” said Leck. While scaling up a business, founders have to step out of their comfort zones and understand what their customers want and the skills that the company requires to communicate the product message to the customers. The founders and the founding team are the backbones of the startup. Childs believes that the founders need to be equipped for dealing with factors that are beyond the core product-building aspect of the business. Managing investors, managing products, and even preparing oneself for the emotional journey that comes with the territory of starting something from scratch, are some crucial skills that CEOs of successful startups need. Even if some investors have a small stake in a company, there is a certain level of expectation of transparency, timely information and directness. However, some founders might end up becoming less transparent and open as the business grows thus jeopardizing their relationship with the investors. Investors give a much-needed boost to a startup in order to get the resources needed to scale up and cater to the masses. It is precisely why paying attention to investor expectations, setting realistic goals that the company can achieve in terms of hiring more people, innovating new technology and getting it out into the market is essential to maintain long-term relations with the investors. Some startups scale up gradually and others experience a growth spurt. Taking a step back and looking at the big-picture of the business as a whole is essential when it comes to scaling up a startup. Hiring the right people and aligning the business goals with investors who believe and support the founders’ dream would help in taking a startup idea to the next level and act as a scalable solution for the entire market.